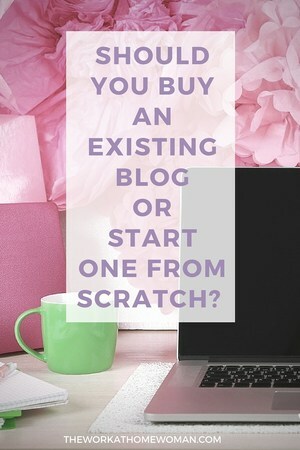 Have you ever wondered if it's easier and more profitable to buy an existing blog? 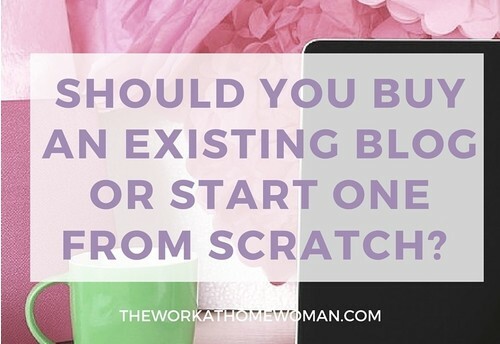 Or is it better to start a blog from scratch? 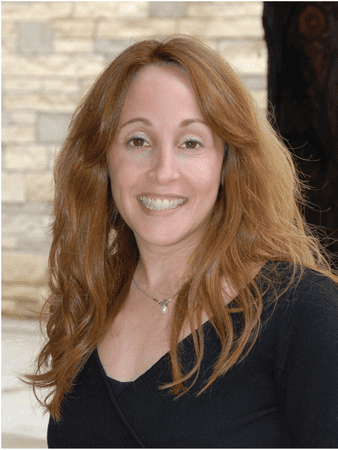 Today Lisa Stein, the second owner of the FreelanceMom.com shares all of the ins and outs of buying an established website. I am excited to meet all of you here at The Work at Home Woman. I live in Dallas, Texas with my two amazing daughters, Gabby and Elle, and my husband Roger. Before I had children, I worked at Big Blue (IBM) for many years in sales and then moved into what they called their learning department where I trained and mentored new employees and managers and developed leadership and mentoring programs. We had our first child! After my first daughter was born, I started to teach an ‘Introduction to Business’ course at a local college in Dallas to keep me sane while I was staying at home with Gabby. But it occurred to me one day that here I was teaching a course about business, but my only first-hand experience with business was working in Corporate America. I felt like I was doing my students a bit of a disservice by not being able to offer real-world entrepreneurial examples. I noticed my students were not only interested in learning about big businesses, but also wanted to know more about how to become an entrepreneur and how to start their own company versus working for someone else. I wanted to keep my skills and knowledge up-to-date and have the ability and freedom to work the hours I wanted to work as I grew my family. So, I set out to either build or buy a small business I can run from home. How did you find the FreelanceMom.com? Once I decided I wanted to run a small business from home, my husband and I started looking on Flippa.com to find a website we might be able to purchase. We ran across all kinds of potential opportunities. We first became interested in an online wedding party favor site, but the reserve price was much more than we wanted to pay. Then we ran across a site that sold balance bikes and explored that a bit. However, I wasn’t really that interested in balance bikes, which led me to continue to search. THEN, I saw two sites in the mom entrepreneur niche that were for sale and got intrigued. One site was making around $4,000 a month in revenue and had around a 4,000+ email subscriber list at the time. However, their price to sell the site was much more than we wanted to spend. Enter FreelanceMom.com … and why we wanted to purchase it. I thought if this other site could make $4,000 a month in revenue, I could replicate their revenue strategy and create the same type of income with FreelanceMom.com. I knew exactly how she was making money and FreelanceMom.com had a similar audience. (Big mistake I talk about below). So I started a dialogue with the owner of FreelanceMom.com through Flippa.com, which is where she was selling it. How did you fund your purchase? It was self-funded from savings we had. How easy was is it to monetize your blog since it was established? 1. Advertising – two main ways are either offering banner ads or using Google AdSense or a combination of the two. 2. Affiliate marketing – where you promote other products and get a commission. 3. Creating and selling your own products. My strategy, in the beginning, was to try and cover my costs by getting recurring advertisers and using Google AdSense. I have four places someone (which you can see on my homepage) could put their banner ad on and those ads also show up on the article pages. Since I took over, it has been challenging to consistently make a profit. We have some consistent advertisers and there were many months where I have started to make a profit. During the first couple of months of taking over, I started to publish articles every day since I thought that would help build up my traffic numbers. However, I have learned that, for me, I wanted to be known for ONLY publishing content that offered significant and unique value. To do that, I only wanted to publish twice a week. Publishing every day was good for my traffic numbers, but did nothing for our engagement. So, I plan to do more affiliate marketing and create my own products. Overall, I think this is a better long-term strategy for monetizing a site like FreelanceMom.com and building more engagement. 10 to 15 hours a week right now, but will start adding to that soon. I wish I did this earlier, but I have hired a business coach with expertise in running a small business. I was feeling a bit down about my progress with the website one day and she asked me how many hours I work a week. Once I told her 10 hours, she said “Lisa, what would take you a year to do, will probably take you four or so years to accomplish since you only can dedicate 10 hours a week.” “So don’t worry too much about your progress and growth right now, because it will come, but it will just come slower than you are used to.” That really helped me put things in perspective. I know that this website can be extremely successful, especially given my long-term plans with it. But I know it will take x amount of hours to get there and I only want to spend so many hours on it right now so I can spend the bulk of my time with my kids. That is one thing I can offer The Work at Home Woman audience is to not be so hard on yourself if what you expect to happen has not happened yet. It will come, but it might just take longer, so don’t give up. On average, it can take online/home business owners around one to two years to start making a profit and really get the groove of things and that is working close to full-time hours! What has been your biggest business struggle as a professional blogger? Engagement and my learning curve have been the two most challenging areas for me, but have been the most fun since I feel like I am truly learning and connecting and building relationships with some amazing people. At the time, it looked like a great start and something I can do a lot with. • Some of the content was very outdated. • The subscribers were not communicated to consistently for a few years (which means they were probably saying “freelancemom.com who?”). • The subscriber list was very old (some subscribed 5 to 8 years ago, so imagine how their life has changed). • The newsletter open rate was very low. • There were no comments under current articles. • There was no social media engagement for the website. • There was a forum that came with the website that had 11K members but had not been active since 2007. • There was so much work to do in the area of SEO. Also, the previous owner never monetized her email subscriber list. I do admire this on one hand, but on the other hand, it made it more challenging in the beginning to send sales emails to my list since they were not used to that style of communication. What advice would you offer to other women who are considering purchasing a blog? Many of you reading this may just be getting started with your website or blog or some of you may have already started but wonder like I did, whether it would be a good idea to own a business by buying an existing one. Since I wanted something I could do from home, buying an existing website was the track I wanted to research and go down. I think looking at the mistakes I made and have learned from first will help frame the advice I can offer. And let me tell you, I made quite a few mistakes when I purchased FreelanceMom.com, but here are a few significant ones. This is cliché to say, but don’t get emotionally attached to what you are buying. Just like when you are buying a new house. Stick with the numbers! Otherwise, you will overpay like we did. We overvalued an asset of the purchase. FreelanceMom.com has a forum with 11,000+ members and we thought that would be a huge asset to have. We knew it wasn’t as active as it used to be when it was started years ago, but we thought we could revive it and bring it back to life very easily. Big mistake, because reviving it has been a challenge and very time-consuming. At the time we purchased FreelanceMom.com, it was using a very outdated and old content management system. We completely underestimated the investment in time and money it would take to move the old site to a new content management system (WordPress). We still have tons of articles that need to move to WordPress and it will take quite a bit of time (or money to outsource it) to move it over to WordPress. So, BEWARE of old sites on old content management systems. Also, beware of outdated content. It has taken me a while to update quite a bit of content that is no longer relevant or accurate. As I mentioned earlier, we bought FreelanceMom.com because we saw an example of another website in the same niche that was making $4,000 in revenue a month and we thought we could replicate that within a year or so. I was wrong! What I didn’t realize at the time was, this other site had a much more engaged email list and audience. FreelanceMom.com had very low engagement when I purchased it, but I had no idea what that truly meant at the time. It is good to understand more about the email list and not just the number itself. Based on my mistakes, here are some things to consider if you are looking at buying a blog or website. 1. Do some analysis on what it would take to start from scratch or buy an existing website. So if the purchase price is $30,000 compare that cost to the cost of starting a website from scratch with $30,000. How long would you predict to make your 30K back with the existing blog versus a new blog? Even if you buy a site at 30K, there are still monthly costs and I’m sure there are changes you would want to make. This is a challenging analysis to do, but something to think about. a. Skills and background – Do you have the skills and background for this particular niche and area? What type of learning curve will you have? b. Time – What time do you really have to dedicate to doing the work? c. Investment – How much money can you invest in the business in the short-term and long-term? 2. Do your research and stick to the numbers! If you use Flippa.com, make sure to ask the owner for specific stats. Important to note: The blog or website is most likely their ‘baby’ if they are the original owners, so keep that in mind during the negotiation process. Don’t believe the “site has potential” from the seller. What I have learned is that depending on how blogs and small businesses get their revenue, small business owners want 4X to 5X their yearly profit. BUT, at the end of the day, you should really be paying 1X to 2X yearly profit for the blog or website and it will take work and negotiation skills to get the owner to get to that price. Get month to month unique visitors for the past three years. And more importantly, ask where the traffic comes from. If they pay for all their traffic that is something to consider. Revenue month to month for the past three years. During due diligence period, verify the revenue, cost and traffic down to the last penny. Drill into how the person is making their revenue. Most small business will have some spikes in revenue from month to month, so look at where those spikes in their revenue come from and determine if it is repeatable. Discount the spikes if it isn’t repeatable. Number of current email subscribers – this will give you some idea of the previous owners ability to convert traffic. Newsletter open rate and click-through rate. Backlinks – you want to check the quality and health of current backlinks (you can use something like Moz’s Open Site Explorer). Engagement – do they have a social media following and how large. (As mentioned, FreelanceMom.com didn’t have much of a Twitter page or Facebook page when I took over). How engaged are they in the comments of the current articles/posts? Technology they use and how the transfer of all of that will take place. You also want to know why they are selling. This can help when you are negotiating on price. Division of labor – what the seller actually does and what they outsource and cost of those tasks. 3. Do some visualization work. Imagine that you purchase a blog. Imagine exactly what you would do the day you take over. Then write down your 30-day plan of what EXACTLY you would do. This will help you break down the tasks that need to be done and help you understand if this is even something you want. Does it excite you when you think about it? Do the ideas just flow? I did this before buying FreelanceMom.com and it really helped. A few things I knew I had to figure out was what I wanted to write about and publish (it doesn’t necessarily need to be the same as what was previously done), how I wanted to monetize how I was going to build relationships since the site had been so dormant for quite some time. So, before buying the site, I needed to make sure that I wanted to spend my time doing this and much more and that I had the necessary skills. One key thing also is to understand is if people come to the existing blog for the current owner’s voice and if they will continue to come if that owner will no longer be there. In other words, how seamless will the transition be? I know when J.D. Roth sold GetRichSlowly.org this was something the buyer had to consider. They lost some loyal email subscribers and fans when he sold it, but the blog is still very popular and profitable today. 4. Have some ideas on how you plan to make money. I know this sounds obvious, but so many people don’t think about that strategically, including myself. I thought I would go full speed ahead with forging relationships with people that sell products and services that I believe in and selling those offerings (affiliate products). However, I feel that you really need to have an engaged audience for this. I currently make money with Google AdSense and a few advertisers right now, but that is only because I do have some traffic coming to my site. However, I have learned that advertising isn’t the best long-term strategy for many websites and blogs. So, it is good to decide whether you want to create a product to sell and what that product might be before you buy an existing site. Creating and selling YOUR OWN offering can be one of the best ways to monetize. If you think you want to go the affiliate route, then decide who you might be approaching and how you will accomplish that before you purchase a site so you can hit the ground running. 5. Start building authentic relationships from the start. Depending on the type of site you buy, one of the best things you can do is to start finding ‘your’ people. Research the influencers in your niche and introduce yourself and offer to help them in any way you can. Join small networking groups on Facebook (there are tons of them) and really offer value to the group by offering to help or providing information you feel will be helpful to them. I waited way too long to start doing this and regret it. I was very heads down when I first started and got straight into tactical mode. I was working on an island with no help and no communication with another soul! Big mistake, because I started getting burned out in the first couple of months! Now, I have built such great relationships now with other mom business owners and it really is the most rewarding part of running the business. Note: I know that doing visualization work and planning before you purchase might not happen in reality after you buy a blog/website, but it is good to think about before you purchase just to see how you feel. Website: I hired a web designer to update the old version to the version we have today. I manage the small changes myself. I still have so many changes I want to make, but not a huge priority for me right now. I also subscribe to SystemsRock, because Natasha has great information on creating systems for your business. Blog: I use WordPress and have used Upwork for some minor changes and help with editing video content. I use freedigitalphotos.net and picmonkey.com for pictures and have used other mom business owners for minor graphics, articles, and updates. Twitter/Facebook Fan Page: I have outsourced some of my social media, which has helped me tremendously with my time management. Lisa Stein owns FreelanceMom.com, is a college business professor and a mom to two growing daughters. Lisa is dedicated to playing a part in helping women and moms run a business they love, help support themselves and their family and create a flexible lifestyle. Follow her on Twitter @freelancemom or Facebook FreelanceMom. Is It Time To Sell Your Blog? Yes, yes, yes! I’ve been looking to read something like this. So glad you interviewed Lisa Stein. I search Flippa.com frequently and have bought some small sites that haven’t produced what I wanted. It’s not Flippa.com though, as it’s a really nice site for buying websites. I just needed to be more prepared, as this article helps with. Thanks Holly. This is one of the most helpful, revealing posts I have ever read! So many insights on what’s involved in running a profitable blog. Thank you! Glad you enjoyed Lisa’s story! Definitely a must-read for individuals who are thinking of purchasing an established blog.